The day that Tampa Bay Lightning general manager Steve Yzerman announced he was stepping down from his position with the organization, it was all but assumed that the legendary Detroit Red Wings captain would return home to HockeyTown to join his former organization. Yet… here were are more than two weeks later and Yzerman remains with the Lightning, acting as a senior advisor to the new GM Julien BriseBois. Most connected reporters insist that Yzerman will in fact return to Detroit once his contract is up with the Lightning next summer. Helene St. James of the Detroit Free Press reported that, in fact, Yzerman told members of the team that he was “going home” to Detroit. Pertaining to Joe Smith report of Steve Yzerman stepping down as GM in Tampa Bay, source tells Free Press Yzerman told Lightning players he was going home to Detroit. Has maintained area home while GM of Tampa Bay Lightning. “I’m spitballing and saying what I could see happening is Steve Yzerman coming in to run the fortunes of the Detroit Red Wings when his contract expires in Tampa after this coming season. 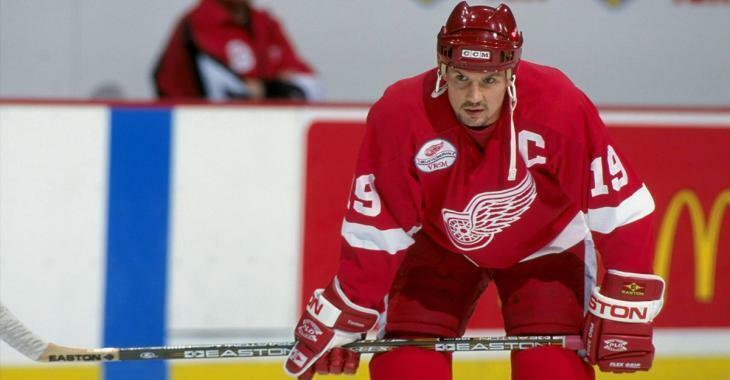 One thing’s for sure… Yzerman would receive one HELL of a homecoming if he did decide to return to the Red Wings organization. Widely regarded as one of the best managers in hockey, Yzerman has been nominated for the NHL’s General Manager of the Year Award twice, losing out to former Vancouver Canucks GM Mike Gillis in 2011 and winning the award in 2015. Under his guidance the Lightning have added players like Nikita Kucherov, Brayden Point, Ondrej Palat, Mikhail Sergachev, Ben Bishop, Ryan McDonagh and J.T. Miller either by draft or by trade. Yzerman is responsible for locking up superstars like Kucherov, Steven Stamkos and Victor Hedman to long-term deals at team friendly discounts.